Frank Lee Devine Falls In Love! Ladies and Gentlemen, the rumors are true. After decades of singing songs of love, romance, relationships, and the wonderful possibilities that await us all, Frank Lee Devine himself was unexpectedly struck by one of Cupid’s arrows while attending a swing dance event in the fall of 2016. As he can no longer deny the aches of his heart over the distance between he and his better half (she lives outside of San Antonio) he has relocated for love and moved to the San Antonio area to be with his soul mate. It is for this reason alone that the Babies regular evening week day performances in the greater Austin metropolitan area have now ceased. He is very grateful to have the Babies’ as well as Aunt Ruby’s full support. Our hearts are warm and we are extremely thankful for the overwhelming outreach of support and love we have received from the community. While our regular weekday performances in Austin have now ceased, we have some special events in the works for future weekends in Austin. Please befriend us on Facebook to keep abreast of our latest schedule. Babies Website Attacked by North Korea! Ah, we have been busy decimating negativity – too much so for rogue elements of the North Korean government seeking to change some of our historical documents. You may encounter a “404 error”, if so please disregard it, you may have to click on some of the document links multiple times before the website page will load. We ask you for your patience while the homeland security group addresses this cyber incursion. Is this possible? ABSOLUTELY – we are the Babies! A new collection of recordings on compact disc entitled “It Can Be Yours” is now available. Our newest CD is available for sale at our live performances, through this website, and via classic mail order. To purchase, please click on the “Buy Now” button on the right and e-mail us informing us which CD you would like purchase! Babies Release New Collection of Recordings! The Babies Release a New CD! 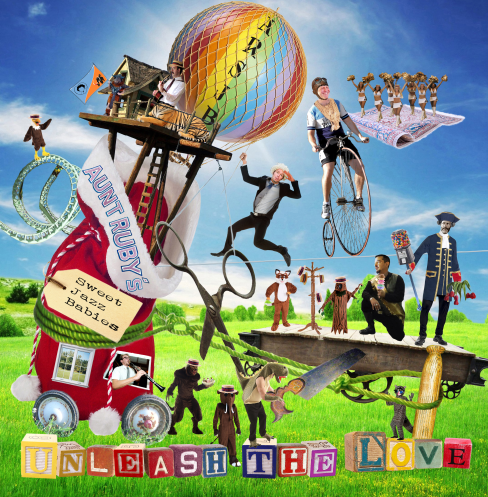 We are happy to announce that we have successfully released a new collection of recordings on compact disc entitled “Unleash The Love”! We hope that you will enjoy our latest collection of recordings. Our newest CD is available for sale at our live performances, through this website, and via classic mail order. To purchase, please click on the “Buy Now” button on the right and e-mail us that you want the latest CD! 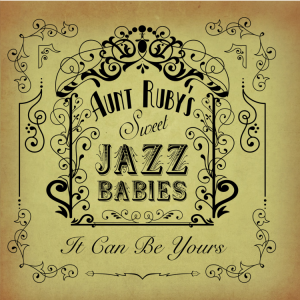 Jazz Babies Ringtone Now Available for Your Mobile Phone! It’s true! You’ll never again wonder whose mobile telephone is ringing when you download our unique Jazz Babies ringtone to your mobile telephone. 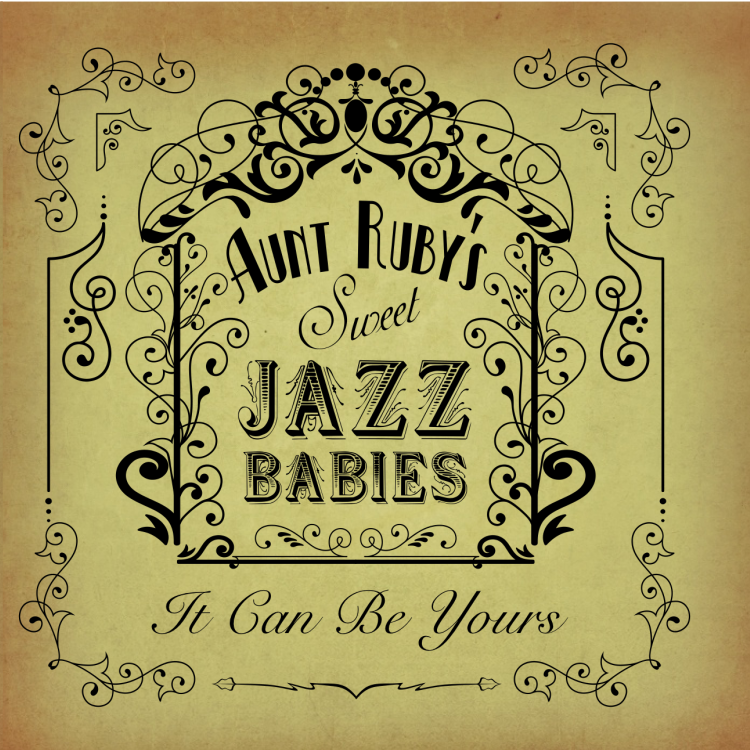 Instantly recognizable and undeniably Aunt Ruby’s Sweet Jazz Babies, we offer this complimentary ringtone for your free download. We hope you will enjoy it and we welcome any love offerings you would like to forward to our office in support of this social enterprise.